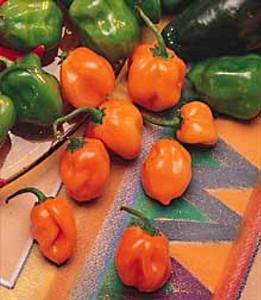 Native to Central America's tropical lowlands, this world-famous, scalding hot peppers thrives where summers are long, hot, and humid. Lantern-shaped fruits ripen to a lovely golden orange. Reported to be 1,000 times hotter than Jalepeno!